Clive Owen returns to the West End for the first time in 18 years and Idris Elba's Tree is at the Young Vic in July 2019 when Lovebox and Wimbledon bring marvellous music and a grand slam to town. Coming into bloom in July, the popular flower show is held within the grounds of Henry VIII's palace. 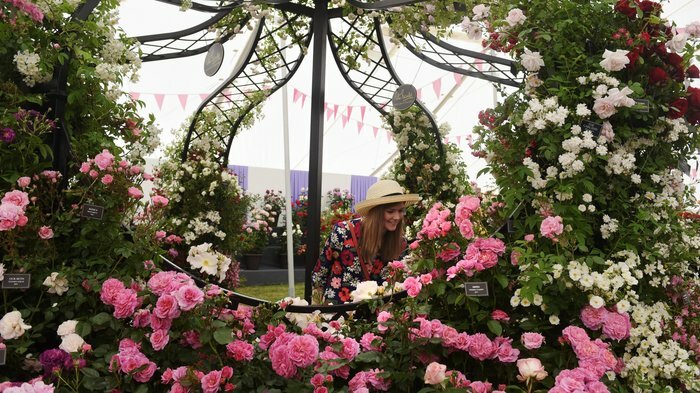 Held within the grounds of Henry VIII's palace - where he built one of the finest gardens in the world - the RHS Hampton Court Palace Garden Festival is a highlight of London's summer calendar. Coming into bloom in July, the flower show brings with it gardens designed by up and coming designers; the Butterfly Dome, where you can wander through thousands of free-flying butterflies; the Show Gardens, a favourite each year with a spectacular selection to give you garden-envy; and ideas to get growing fruit and veg at home with The Raymond Blanc Gardening School. For something extra special, the preview evening gives you access to the show before its official opening at an evening of live music and with a magnificent fireworks display set off as the sun sets behind the palace. Cliff Richard and Paul Weller play as part of the seven-day summer music festival. Set within the grounds of the Old Royal Naval College, Greenwich Music Time is a seven-day series of al fresco concerts. For its sixth year the festival welcomes Sir Cliff Richard and Paul Weller to the magnificent surroundings of Sir Christopher Wren's twin-domed riverside masterpiece. More acts are expected to be announced for the annual seven-day music festival which is one of London's best loved summer music festivals. All concerts are held in a purpose build outdoor arena, overlooking the Thames and lit by the big city lights of Canary Wharf. Tennis takes over as the famous tournament serves up two weeks of ace tennis. Wimbledon, the famous tennis tournament and the most watched event in the Grand Slam calendar, brings thousands of visitors to the All England Club with the live action played out on big screens at Murray Mound and all over London. Many tennis pros covet the Wimbledon crown above all others and the grass surface makes for fast, breathless duels. Tickets can be applied for through the public ballot on the website, if however you're not lucky enough to get hold of one it is easy to get in to the grounds if you queue up in the morning. However, there are only 500 tickets for the centre courts available, so you have to turn up seriously early - or queue overnight - to be certain of getting to see the biggest matches. But in the first week the outer courts still have some of the world's greatest players and you can grab tickets for them if you arrive by about 9am. TRAVEL: The most convenient tube station for getting to Wimbledon is 'Southfields' on the District line, the station before Wimbledon Park. Southfields is closer, has marshals, a lift and the shorter walk is fully signposted. Regent's Park Theatre's take on Andrew Lloyd Webber's rock opera comes to the Barbican. Tim Rice and Andrew Lloyd Webber's seminal musical comes to the Barbican following two sell-out seasons at Regent's Park Open Air Theatre. "A gorgeous, thrilling, heavenly musical" ran The Guardian headline above its four-star review back in 2015 and it has proved just as popular ever since. Over 45 years after Tim Rice and Andrew Lloyd Webber's rock opera Jesus Christ Superstar was first staged, Timothy Sheader's new production introduces a new generation to legendary hits like I Don't Know How to Love Him, Gethsemane and Superstar. This time it's reimagined as a rock festival under the musical direction of Tom Deering with choreography by Drew McOnie and Tom Scutt's "rusty, rough and ready set, with its cruciform walkway". Superb summer music festival for hip-hop, grime and rap music fans. Since its first outing back in 2005 Wireless has firmly established itself as one of London's major large scale hip-hop, grime and rap music events, attracting crowds of over 20,000 for each of the three days. In 2019 the music festival returns to Finsbury Park for a sixth year with rapper Cardi B and Migos sharing the Friday headline slot, Travis Scott as top of the bill on Saturday and hip-hop legends ASAP Rocky closing the festival as the Sunday headliner. Atlanta hip-hop artist Future, Londoners Stefflon Don and AJ Tracey are also on the huge lineup which includes the incredible Mississippi hip-hop duo Rae Sremmurd whose 2018 performance was a real crowd pleaser. One important change to note: new licensing rules, which come in from 2019, mean performers mustn't swear on stage. So "Stormzy would have to change at least 17 of the 21 songs performed during his set in 2018" - according to BBC Radio 1 Newsbeat. Clive Owen returns to the West End for the first time in 18 years. Over a million spectators and more than 450 groups parade marches proudly through the city streets. With growing numbers year on year - over a million spectators lined the streets last year - the Pride in London Parade is back for 2019 for another colourful occasion of dancing, marching and rollerskating through London. Celebrate the people and organisations who've contributed to lesbian, gay, bisexual and transgender (LGBT) rights over the years and join over 450 groups as the parade marches proudly from Baker Street, along Oxford Street, Regent Street and via Piccadilly Circus. Adding to the fun, there are performance spaces in Trafalgar Square, Leicester Square and Soho with concerts featuring chart acts, musicians, dancers, West End stars and other performers. New sections in the parade and new stages are expected in 2019, 50 years after the Stonewall Riots. The centre of the clubbing universe in its 90s heyday goes classical. Pioneering DJs Graeme Park and Mike Pickering perform alongside the Manchester Camerata orchestra and special guests for a performance of Hacienda classics. 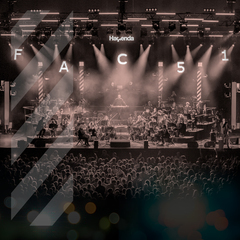 Hacienda Classical won rave reviews after its first Royal Albert Hall visit, NME called it "Probably the best rave since 1997" and Mixmag termed the event, "a near two hour blend of house music's greatest players with an audience dancing and singing from the off". A hit on the festival circuit, it opened Glastonbury's Pyramid Stage in June 2017. Now coming into its fourth year here in London, 2019's show will keep the best bits of the previous shows while adding new tunes and guests. From Oxford Circus to Piccadilly Circus, Regent Street goes traffic free on Sundays in July. For the first four Sundays in July Regent Street is banning traffic for the popular Summer Streets series. The month-long event combines themes of art, culture, style and wellness with food and drink. The event has a real festival like atmosphere as Regent Street goes traffic-free. Throughout the four weeks, shops and restaurants along the curved shopping street, from Oxford Circus to Piccadilly Circus, put on special events. Last year lululemon held workout classes on Regent Street, Tommy Hilfiger installed a Scalextric track and Anthropologie offered complimentary workshops. Plus there were food stalls from Danish bakery Ole & Steen, Gordon Ramsay's Heddon Street Kitchen and Gaucho. Craig David, Beverley Knight and Rick Astley play at the beautiful Royal Botanic Gardens. Craig David, Beverley Knight and Billy Ocean, Jools Holland & his Rhythm & Blues Orchestra and Rick Astley play at Kew the Music in 2019, a week of summer picnic concerts, from 9th to 14th July 2019, set within the stunning grounds of the Royal Botanic Gardens, Kew. R&B superstar, Craig David, is headlining the show on Friday 12th July. British soul singer Beverley Knight and 'When The Going gets Tough' singer Billy Ocean both play full headline sets on the same night. Jools Holland & his Rhythm & Blues Orchestra are joined by Gilson Lavis and regular guest vocalists, Ruby Turner and Louise Marshall while '80s pop star Rick Astley brings the series to a close. Perfect for a picnic, opt for the VIP package and you'll get ready-made hampers to collect on the night. The Icelandic artist who flooded the Turbine Hall with fake sunlight returns. This summer, Icelandic artist Olafur Eliasson, whose 2003 weather project flooded the Turbine Hall with fake sunlight, returns to Tate Modern where he staged his popular installation. Marking the most comprehensive solo presentation of Eliasson's work, and his first major survey in the UK, Olafur Eliasson: In real life brings together over 30 of his works, spanning the last three decades. Each installation, or group of works, explores a theme that recurs in his work, whether it's space, motion or natural phenomena - as seen in Moss wall 1994, featuring lichen. Experiments with light and colour as well as engagement in social and environmental issues extend beyond the gallery walls onto the terrace outside Tate Modern and into the cafe where organic, vegetarian and ethically sourced food served at Studio Olafur Eliasson is on the special menu. Bob Dylan, Florence and The Machine and Robbie Williams play live in Hyde Park. Bob Dylan, Florence The Machine and Robbie Williams play live in Hyde Park as the ten day British Summer Time music festival returns for a seventh year in 2019 with another impressive line-up of big names in rock and pop. Playing Hyde Park on Friday 12th July, Bob Dylan and Neil Young take to the open air stage. Florence The Machine and The National appear on Saturday 13th July while Sunday 14th July sees Robbie Williams rock the park. Between two weekends of live music there's free entertainment with open-air movie nights and tennis screenings, street food stalls and daytime DJs. Free sports sessions and after school multi-sports for kids are also part of the mid-week entertainment. Look out for more acts to be announced. After a successful first year in its new home Lovebox returns to Gunnersbury Park. After a successful first year in its new home, Lovebox returns to Gunnersbury Park in July 2019 for its 17th year. The lineup hasn't been released as yet but with high calibre headliners and a laid back party atmosphere, Lovebox is reliably one of the best summer music festivals in London. 2018 saw legendary rap group Wu-Tang Clan, Pharrell Williams fronting N.E.R.D and the Mercury Prize-winning Skepta perform during the two day festival. But US rapper Childish Gambino "stole the show" (Independent) presenting songs like 'Sober' and 'Riot' with "electric raw energy". Inua Ellams' cutting edge play returns following two sold out runs at the National. Two years after opening at the National Theatre Inua Ellams' much celebrated play, the Barber Shop Chronicles is staged at the Roundhouse, specifically adapted for the in-the-round performance space. Directed by Bijan Sheibani, the National Theatre's co-production with Fuel and West Yorkshire Playhouse explores the timely concerns, personal trials and tribulations of the customers and staff of barber shops. Leaping from London, Johannesburg, and Harare to Kampala, Lagos and Accra, Ellams' drama is inspired by the barber shops he visited as a teenager near his home in Peckham. In its five star review The Independent described it at a "joyous piece of theatre", set in six cities on one day. A new exhibition timed to coincide with the fiftieth anniversary of the first moon landing. Not just for the lunatics and the conspiracy theorists, The Moon is a major exhibition at the Royal Museums Greenwich, timed to coincide with the fiftieth anniversary of the first moon landing on 20th July 1969. The earliest drawings of the Moon, made using a telescope by Thomas Harriott, are loaned from the collection of Lord Egremont, along with key pieces from the Royal Astronomical Society, Victoria and Albert Museum and Science Museum. You can see Apollo space programme artefacts from the Smithsonian National Air and Space Museum in Washington D.C. as well as the Royal Museums Greenwich's own 100-inch map of the Moon by Hugh Percy Wilkins, shown to the public for the first time. 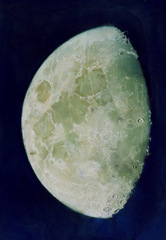 Each historical and contemporary artwork invites us to explore our evolving relationship with the moon. The Mayor of London launches a brand-new city-wide festival. Taking steps towards making London the world's first National Park City, The Mayor of London has launched the brand-new National Park City Festival in 2019. Celebrating the capital's green spaces, wildlife, green rooftops and waterways, the week-long festival aims to introduce Londoners to new environmental, cultural, sporting and community activities in order to improve health, wellbeing and social cohesion. Highlights include the National Park City Stage, which will see City Hall host a free cultural programme in partnership with the National Theatre; National Park City Rooftops, providing free access to some of London's best rooftop gardens and natural spaces in partnership with Open City; and National Park City Splash, the city's first multi-site outdoor swimming and paddle sports event. Admire the grand State Rooms used by heads of state at the Queen's London home. Every summer inquisitive visitors get the chance to look around Buckingham Palace and admire the grand State Rooms used by heads of state at the Summer Opening. See the nineteen State Rooms which are still used by the Royal Family to receive and entertain guests on state and ceremonial occasions. Decorated in lavish fashion, they include paintings by Rembrandt, Rubens and Canaletto, Sevres porcelain and some of the finest English and French furniture in the world. There are also some exquisite royal gifts, including Faberge Eggs, on display. This is a fascinating opportunity to admire the taste - often wonderful, sometimes comically bad - of Britain's monarchy. Audio Guides: Audio tours are included in the admission price and are available in the following languages: English, French, German, Spanish, Italian, Japanese, Chinese and Russian. 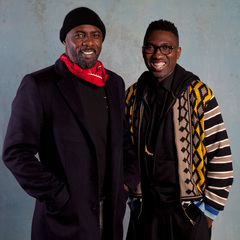 Idris Elba and Kwame Kwei-Armah collaborate on a musical play exploring the years after Mandela. Taking you on a musical journey in search of the soul and the spirit of contemporary South Africa, Tree is a collaboration between Idris Elba, whose album Mi Mandela provides the soundtrack, and The Young Vic's artistic director, Kwame Kwei-Armah. This major world premiere, performed in the round, combines music, dance and film to explore the past, present and future of this country at a crossroads, seen through the eyes of a young man. From cheap budget hotels to luxury 5 star suites see our deals for hotels, including Grange White Hall Hotel London from 57% off.